The Venus hot tub in the MyLine range is very similar to the Mercury with small design and specification changes. This is a six seater and similarly has a full length lounger seat along with five standard seats. The corner seats in the Venus having more pumps than the side seats that makes this a great hot tub where you need the size and the space and where the power from the pumps is concentrated on specific areas. There are 49 jets in the Venus hot tub along with 2 filters and a full 3KW heater so that the water warms up quickly and two pumps including a double speed pump. The Venus also boasts the latest built in audio sound system and 3 head rests making it ideal for the family to relax in. The design is great if you need a big hot tub where you want to maximise the relaxation in the corner seats and the lounger seat making it flexible, also ideal for family use where a relaxing experience is vital. 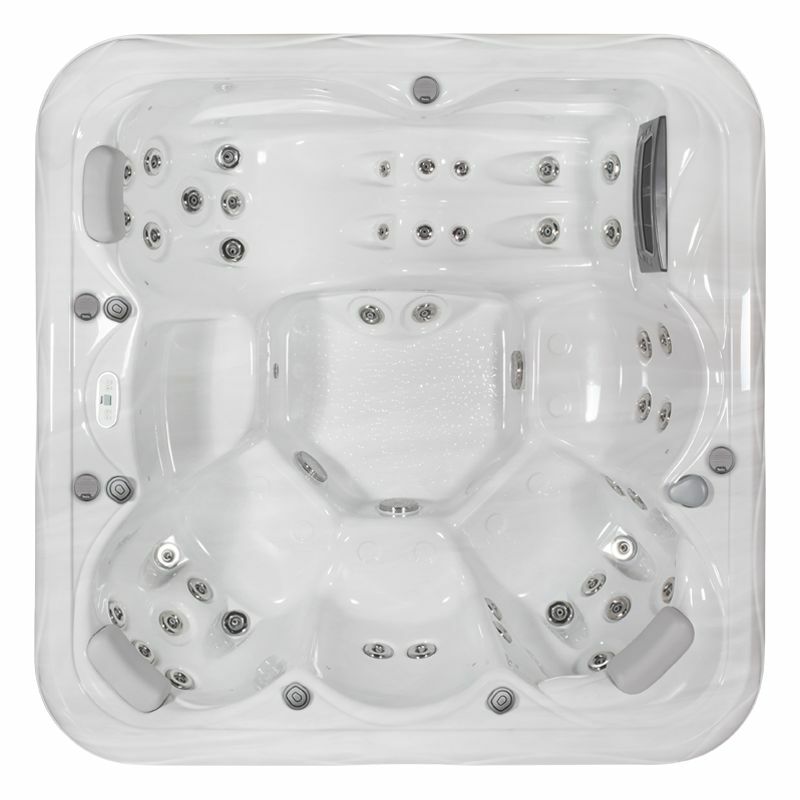 You can purchase the MyLine Venus from Bay Spas in Devon and visit our showroom where we have several hot tubs available for you to view and even try before you buy.